To diagnose the condition, the doctor will conduct a mental health evaluation which would include interviews and psychological testing. While there are no specific medical or psychological tests for depression, questionnaires can make a breakthrough. Also, additional information from friends, classmates and teachers can be helpful for marking the changes in the current behaviour from the previous one. To be honest, the causes of childhood depression are unknown. However, it has been observed that depression often has social, psychological, environmental, and biological underpinnings. 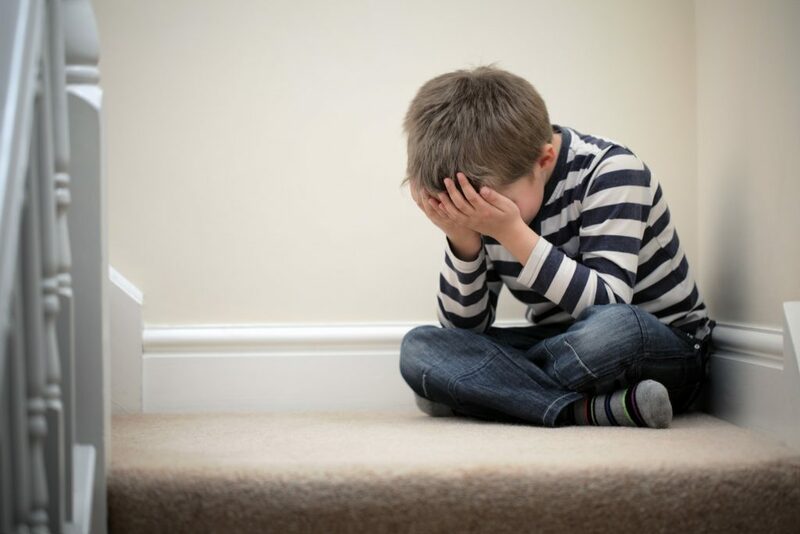 While it can affect anyone, the following conditions and factors make children predisposed to developing depression. However, the point to note is that predisposition doesn’t point to a certainty, it only implies a greater likelihood. Children with a family history of depression are at greater risk of developing childhood depression. This is especially true for those who have an immediate family member with a history of mood disorders or depression. Thus, genetics play an important part in the onset of this condition. In fact, kids whose parents suffer or have had suffered from depression, are observed to have developed their first episode of depression earlier than other children. Also, kids with substance abuse issues are at a higher risk of developing depression owing to their dependency. Many substances, such as alcohol, are known depressants. Thus, drinking increases the feelings of guilt, sadness and fatigue in already depressed individuals. Lastly, children with severe or chronic medical conditions are at a high risk of suffering from depression. It is not hard to draw a cause and effect relationship between depression and chronic illnesses as the latter can trigger life-changing alterations, including those in mobility and independence. As the diseases cannot be cured completely, kids tend to become depressed. The treatment options for kids are similar to those of adults with depression, namely, psychotherapy and medication. While psychotherapy is done in the form of counselling, the medicines used are usually anti-depressants. Also, the environment given to the child during the course of treatment is important too. Initially, Cognitive Behavioural Therapy, or CBT, a psychotherapy is employed. It has shown quite good results in the treatment of mild to moderate depression. However, it is usually used to assist teenager while for most children under 9, psychodynamic psychotherapy and play therapy can be employed. If this fails or the depression is severe, a few medicines are introduced to the treatment course. It has been observed that Prozac can help treat childhood depression. It is also officially recognized by the FDA for treatment of children between 8 and 18. Another course of action, or medicine to be exact, is a class of SSRIs – Selective Serotonin Re-Uptake Inhibitors are used along with CBT. These anti-depressants come with a black box warning and can initially be a bit dangerous to the child, for they increase suicidal thoughts and behaviours. But, this is majorly seen in only the early phase of the treatment. Depression is treatable. But before understanding the causes and treatment, it is very important to understand the symptoms of childhood depression and how it differs from adulthood depression. The best studies conclude that psychotherapy and medication are most effective in treating depression when used in combination.